The moku (district) of Honuaʻula includes the Southeastern portion of the island of Maui from the coastal bay of Keawakapu (modern day South Kihei area) to the rocky shoreline of Kanaloa point, seven miles south of Keoneʻoʻio (La Perouse) Bay. The upper areas were in sandalwood and koa forests. Prior to European contact, early Hawaiians farmed sweet potatoes, dry land taro and harvested wood, birds and pigs from these forested areas. 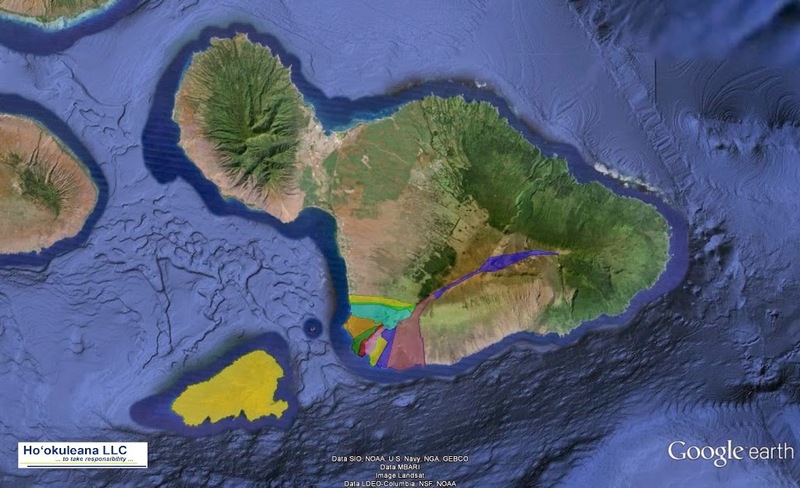 Researchers believe that in the era from AD 1300 to 1800 native forests in southeast Maui areas like Honuaʻula began much lower- around the 2,300 to 2,800 foot elevation. These views are based upon analysis of bird and snail remains, common species represented in studies of Honuaʻula’s neighboring moku (district) of Kahikinui. The areas below the west and south slopes of Haleakalā (Kula, Honuaʻula, Kahikinui and Kaupo) in old Hawaiian times were typically planted in sweet potato. The leeward flanks of Haleakalā were not as favorable for dry or upland taro. However, some upland taro was grown, up to an altitude of 3,000 feet. Honuaʻula’s earliest history is tied to the importance of Puʻu Olaʻi (“Red Hill” and “Miller’s Hill”.) Puʻu Olaʻi has its origin in the legendary battle between the volcano goddess Pele and the local moʻo (supernatural lizard) goddess Puʻuoinaina. Honuaʻula is also home to a number of traditional Hawaiian fishponds, most adapted from natural wetlands along the shore. Three of these are shown in old maps in the Honuaʻula, and several more were shown just to the south of Puʻu Olaʻi. Based upon this cultural view, the earliest population levels of Honuaʻula would have been linked to availability of food from the sea and the land and fresh water resources, as well as the influence of spiritual forces and familial ties. The presence of trade resources such as dried sea salt, volcanic glass and canoe building materials as well as safe landing areas and favorable currents would all be part of the mix of conditions to determine the extent of population. In 1789, Simon Metcalf (captaining the Eleanora) and his son Thomas Metcalf (captaining the Fair American) were traders; their plan was to meet and spend winter in the Hawaiian Islands. After a confrontation with a local chief on Hawaiʻi Island, Simon Metcalf then sailed to Maui and anchored the Eleanora off shore, probably at Makena Bay. Someone stole one of Metcalfe’s small boats and killed a watchman. Captain Metcalfe fired his cannons into the village, and captured a few Hawaiians who told him the boat was taken by people from the village of Olowalu. He sailed to Olowalu but found that boat had been broken up, enraged, Metcalfe indicated he wanted to trade with them; instead, he opened fire, about one hundred Hawaiians were killed, and many others wounded. Hawaiians referred to the slaughter as Kalolopahu, or spilled brains; it is also called the Olowalu Massacre. Up to the early 1840s, land use, access, and subsistence activities remained as it had from ancient times. But by the middle 1840s, land use transitioned from traditional subsistence agriculture to business interests, focused on ranching and plantations (the latter occurring in the cooler uplands). The image shows the ahupuaʻa of Honuaʻula. In addition, I have added other related images in a folder of like name in the Photos section on my Facebook and Google+ pages.